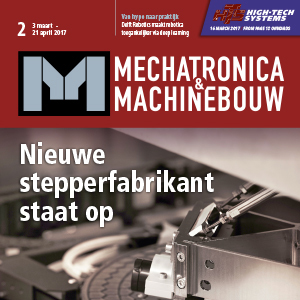 Mechatronica&Machinebouw is the leading trade magazine for the high-end machine and system construction in Belgium and the Netherlands. Mechatronica&Machinebouw serves all markets where system development is crucial to stay ahead of the competition. Examples are the machinery construction market for semiconductors and solar cells, the packaging and manufacturing industry, the print industry, offshore and shipbuilding. Advertising is possible in print, on the website or in the digital newsletter (issues every Wednesday).